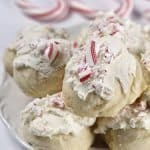 Favorite Christmas cookies from sugar cookies to snickerdoodles, this is a list of classics and new found favorites includes make-ahead instructions and tips! One of the things we love to do throughout the holidays, beginning around Halloween if I’m being completely forthcoming, is to make cookies. But without a doubt, Christmas cookies are our absolute favorite! I love to have my freezer filled with cookies ready to bake right before guests arrive throughout the Christmas season as well as be able to bake large batches of them on the weekend to give as gifts. But one thing I’ve learned in all of my years of Christmas cookie baking is that I definitely prefer to as many make ahead Christmas cookie recipes as possible and I think you prefer them, too! So, I’ve updated my list of our favorite Christmas cookies to include the make ahead instructions and storage tips! 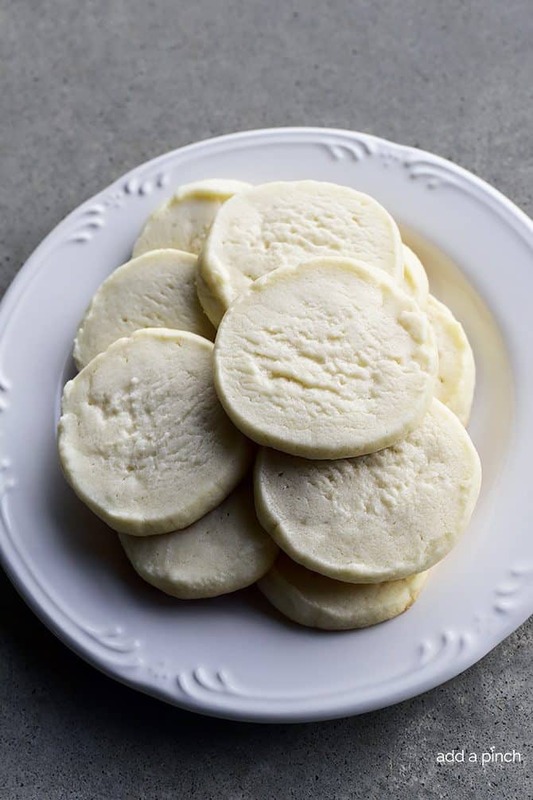 If you are looking for a quick and easy sugar cookie recipe that everyone will love, this is it! 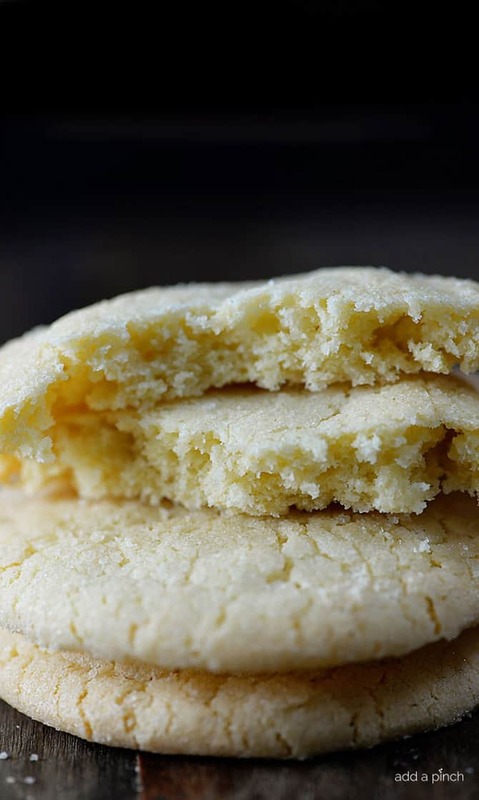 Crisp on the outside and chewy on the inside make these sugar cookies a hit every time. I love that these cookies come together so quickly and are perfect for sharing! You can prepare the dough and store in an airtight container in the refrigerator for 3 to 5 days. When you are ready to bake, scoop the dough into balls and follow the recipe baking instructions. Freezing Chewy Sugar Cookie dough: Scoop dough by the tablespoon and roll into a ball and place onto a parchment covered baking sheet. Cover and place in the freezer for 1 hour or until the dough is frozen. Remove from the freezer and place the cookie mounds into airtight containers or freezer bags. Label the bag with the date and name of the cookies. When you are ready to bake the cookies, remove the container from the freezer. Remove the number of cookies from the container that you wish to bake and place them in the refrigerator to thaw. Once the dough has thawed, roll the balls in the granulated sugar and place them at least 1 1/2 to 2 inches apart on a parchment lined baking sheet. Bake as directed in your recipe but you will probably need to add a couple of extra minutes to the baking time. Storing baked cookies: Cool the baked sugar cookies thoroughly. Layer the sugar cookies between pieces of parchment or waxed paper and place into an airtight container. These cookies should keep up to 1 week. If you are looking for a traditional rolled sugar cookie recipe that you can decorate, here’s your cookie! I love to use the cookie icing that my Mama and Grandmother always used for these cookies. You can prepare the dough and store in an airtight container in the refrigerator for 3 to 5 days. When you are ready to bake, roll the dough to the desired thickness and follow the recipe instructions. Freezing Rolled Cookie Dough – Divide your dough into 2 equal-size balls. Place each ball of dough between two pieces of plastic wrap and flatten each one into a disc. Place each disc into an airtight freezer bag. Label each bag with the date and name of the cookies. Place the discs onto a baking sheet to keep flat and freeze. When you are ready to bake the cookies, thaw the dough about 30 minutes or until it is softened. Follow your recipe instructions to roll the dough to the desired thickness of your cookies. Then cut the dough into the desired shapes. Bake as directed in your recipe. You can also freeze the dough after it has been cut out into desired shapes. Place the cut out cookies on a parchment lined cookie sheet. Cover with plastic wrap and freeze for about 30 minutes. Remove the cookies from the cookie sheet and place into an airtight freezer bag. Label with the date and name of the cookies and freeze. When ready to bake, remove the cookies from the freezer and place on a parchment lined baking sheet. Bake as directed in the recipe. You may need to add a couple of minutes to the baking time. Storing the baked cookies: After baking, cool the cookies completely. Place the sugar cookies in a layer between waxed paper or parchment. You may frost these cookies either before or after storing. If you frost before storing, make sure the frosting is completely dry before starting the storage process. 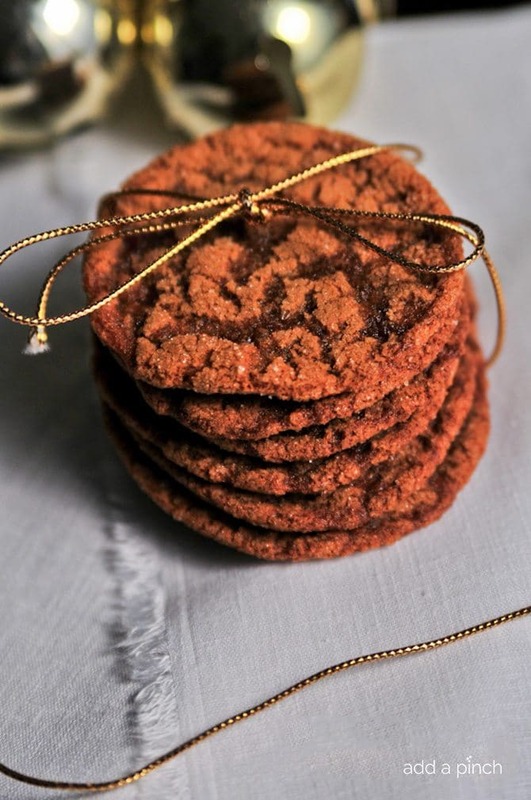 Gingerbread cookies weren’t always my favorite, but they sure are now with this cookie recipe! 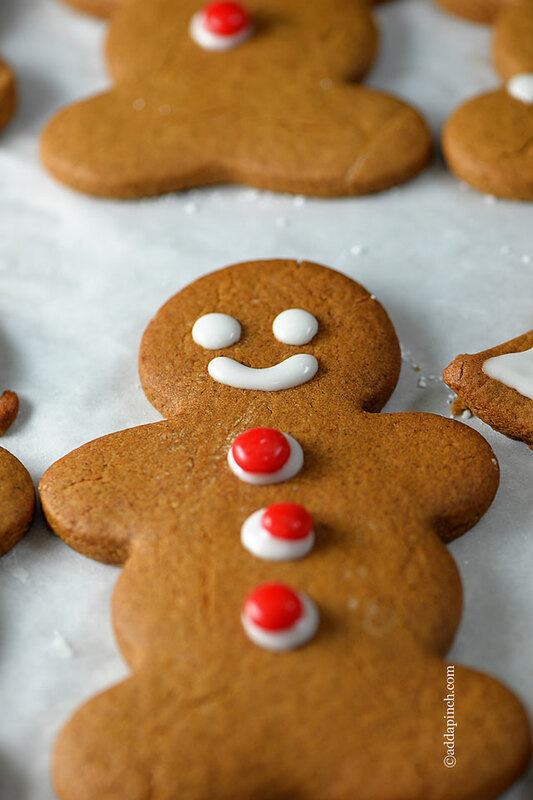 This recipe is perfect for making adorable Gingerbread Men for decorating! Freezing Gingerbread Cookie Dough – Divide your dough into 2 equal size balls. Place each ball of dough between two pieces of plastic wrap and flatten each one into a disc. Place each disc into an airtight freezer bag. Label each bag with the date and name of the cookies. Place the discs onto a baking sheet to keep flat and freeze. Storing the baked cookies: After baking, cool the cookies completely. Place the cookies in a layer between waxed paper or parchment. You may frost these cookies either before or after storing. If you frost before storing, make sure the frosting is completely dry before starting the storage process. Store them in an airtight container for up to 1 week. 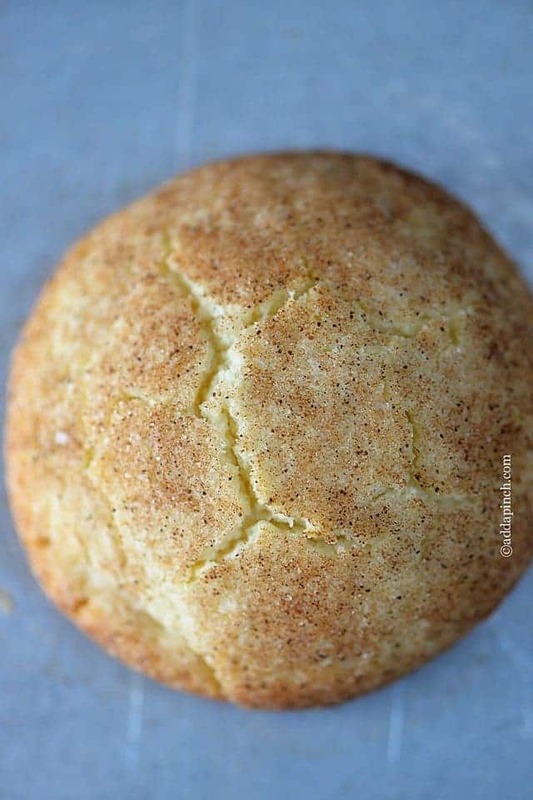 Snickerdoodles are always a favorite cookie throughout the year, but especially throughout the holidays! 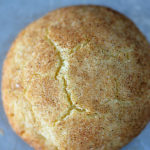 Freezing Snickerdoodles dough: Scoop dough by the tablespoon and roll into a ball and place onto a parchment covered baking sheet. Cover and place in the freezer for 1 hour or until the dough is frozen. Remove from the freezer and place the cookie mounds into airtight containers or freezer bags. Label the bag with the date and name of the cookies. Oatmeal lace cookies are a delicate, delicious cookie perfect for the holiday cookie platter! If you enjoy coconut cookies, these you will love these Coconut Dreams cookies! 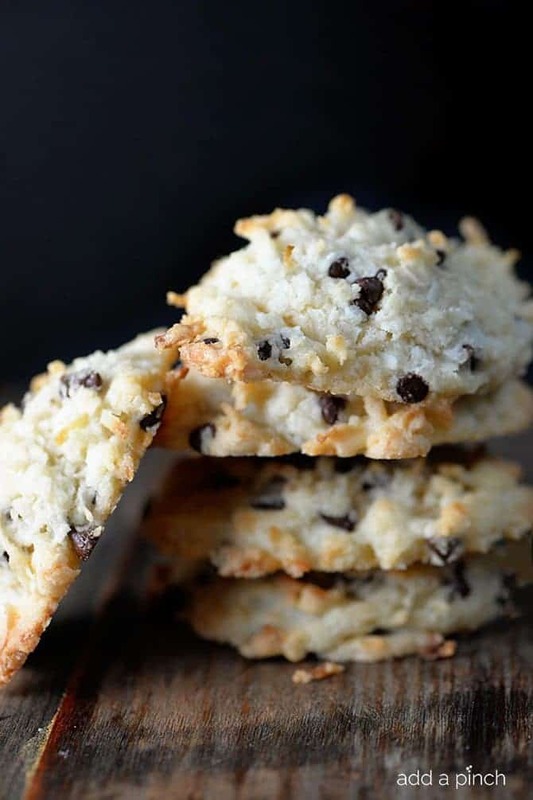 Filled with delicious coconut and sprinkled with chocolate chips, what’s not to love? Freezing Coconut Dreams Cookie dough: Drop dough by the tablespoons onto a parchment covered baking sheet. Cover and place in the freezer for 1 hour or until the dough is frozen. Remove from the freezer and place the cookie mounds into airtight containers or freezer bags. Label the bag with the date and name of the cookies. When you are ready to bake the cookies, remove the container from the freezer. Remove the number of cookies from the container that you wish to bake and place them at least 1 1/2 inches apart on a parchment lined baking sheet. You will need to thaw the dough before baking the cookies. Bake as directed in your recipe but you will probably need to add a couple of extra minutes to the baking time. An all-time family favorite recipe, these Chocolate No Bake Cookies are always a part of our holiday cookie making tradition! Drop cookies by tablespoons onto parchment paper. Allow to dry for about 10-15 minutes until the no bake cookies have become firm. Layer cookies between pieces of parchment or waxed paper in an airtight container. Store up to 1 week for maximum freshness. 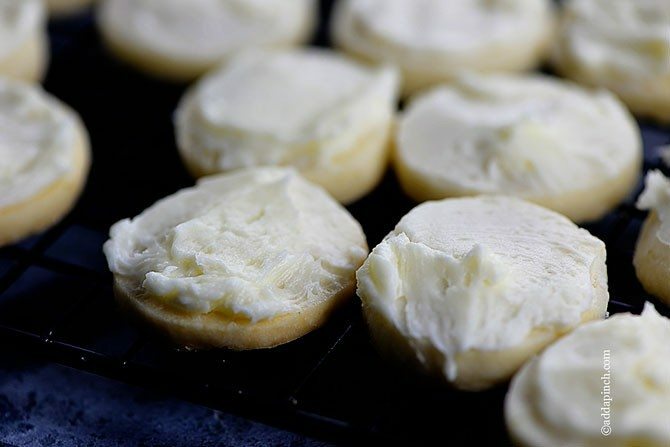 These Butter Cookies are perfect topped with creamy buttercream frosting or unadorned! Freezing Butter Cookie dough: Scoop cookie dough by the tablespoon onto a parchment lined baking sheet. Press down on the cookie dough ball lightly with the palm of your hand or the bottom of a glass until it is about 1/2 inch thick. Cover and place in the freezer for 1 hour or until the dough is frozen. Remove from the freezer and place the cookies into airtight containers or freezer bags. Label the bag with the date and name of the cookies. When you are ready to bake the cookies, remove the container from the freezer. Remove the number of cookies from the container that you wish to bake and place them at least 2 inches on a parchment lined baking sheet. There is no need to thaw the dough before baking. Bake as directed in your recipe but you will probably need to add a couple of extra minutes to the baking time. Storing baked cookies: Cool the baked cookies thoroughly. Layer cookies between pieces of parchment or waxed paper and place into an airtight container. These cookies should keep up to 1 week. Molasses cookies bring all of those favorite holiday flavors together in one cookie! 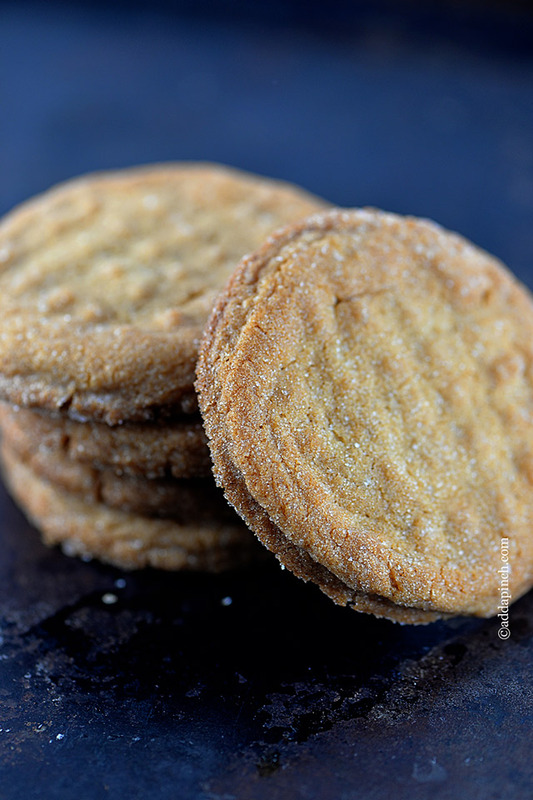 This recipe elevates those flavors in these Ginger Molasses Cookies. Freezing Ginger Molasses Cookie dough: Scoop walnut-sized balls of dough and roll into smooth balls. Roll in granulated sugar. Place dough onto parchment lined baking sheets. Cover and place in the freezer for 1 hour or until the dough is frozen. Remove from the freezer and place the cookie mounds into airtight containers or freezer bags. Label the bag with the date and name of the cookies. 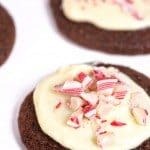 Peppermint Bark is always a Christmas favorite at our house and these Peppermint Bark Chocolate Sugar Cookies sure do bring those flavors home in a fun, delicious way! Freezing Peppermint Bark Chocolate Sugar Cookie Dough – Drop dough by the tablespoons onto a parchment covered baking sheet. Cover and place in the freezer for 1 hour or until the dough is frozen. Remove from the freezer and place the cookie mounds into airtight containers or freezer bags. Label the bag with the date and name of the cookies. When you are ready to bake the cookies, remove the container from the freezer. Remove the number of cookies from the container that you wish to bake and place them at least 1 1/2 to 2 inches apart on a parchment lined baking sheet. Bake as directed in your recipe but you will probably need to add a couple of extra minutes to the baking time. Storing baked cookies: Cool the baked cookies thoroughly. Layer cookies between pieces of parchment or waxed paper and place into an airtight container. If frosting these cookies before storing, make sure the frosting is completely dry before storing. These cookies should keep up to 1 week. 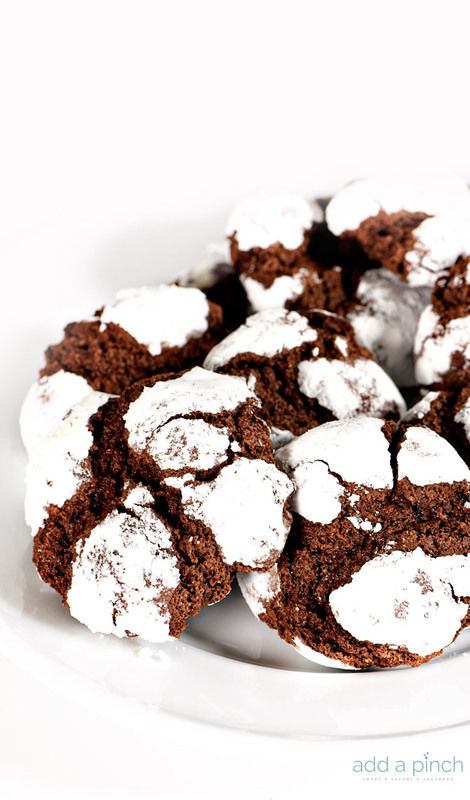 These Chocolate Crinkle Cookies look like they’ve had a dusting of snow! They always look so festive on your Christmas cookie platter! 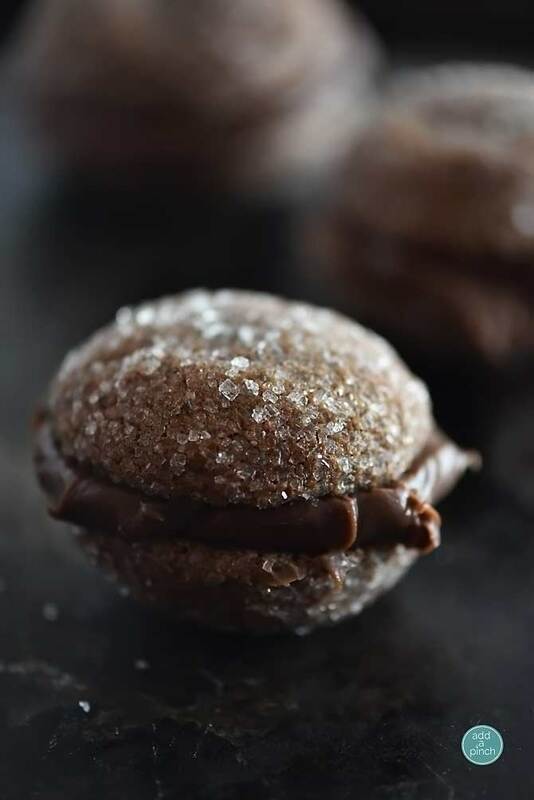 To make my chocolate crinkles, I mix together all of the ingredients for the cookie dough and then put them into freezer-safe deli containers and pop them into the refrigerator. They can stay in the refrigerator for up to a week. Then, when I’m ready to bake them, I pull them out of the refrigerator and scoop out a small scoop, roll them into a ball, roll them in powdered sugar and bake! 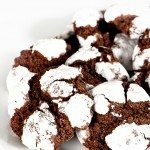 Freezing Chocolate Crinkle Cookie Dough: I place my dough into freezer-safe containers and freeze up to 2 months. When ready to bake, I allow to thaw in the refrigerator overnight, roll them in powdered sugar and then follow the recipe baking instructions. 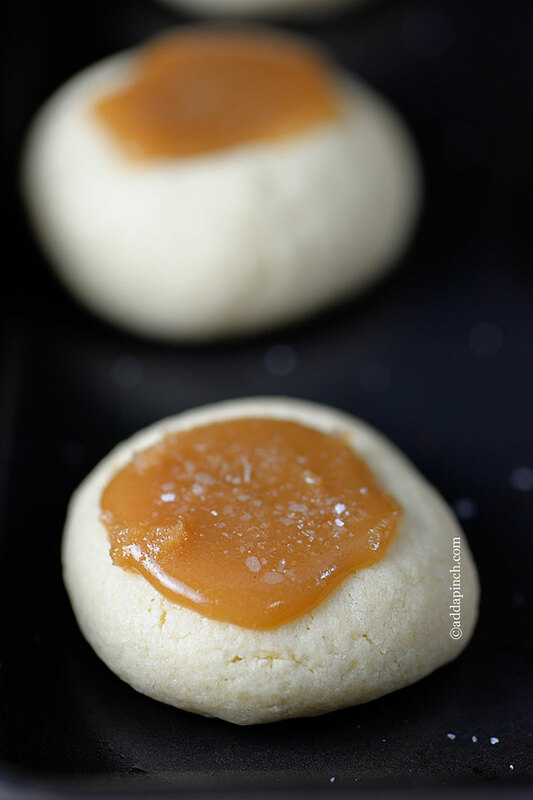 My Grandmother’s Thumbprint Cookies meet salted caramel in this delicious cookie recipe! You can prepare the dough and store it in an airtight container in the refrigerator for 3 to 5 days. When you are ready to bake the cookies, follow the recipe instructions. 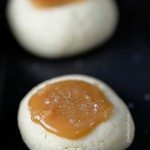 Freezing the Salted Caramel Thumbprint Cookies: Scoop 1 teaspoon of dough and then roll in between the palms of your hands until a ball, about the size of a walnut, has formed. Drop onto a parchment lined cookie sheet. Press your thumb into the center of the dough ball to form a slight well. Repeat until all dough has been used. Cover and place in freezer for 1 hour or until the dough is frozen. Remove from the freezer and place the cookies into airtight containers or freezer bags. Label the bag with the date and name of the cookies. When you are ready to bake the cookies, remove the container from the freezer. Remove the number of cookies from the container that you wish to bake and place them on a parchment lined baking sheet. You don’t have to thaw these cookies before baking. Bake as directed in your recipe but you will probably need to add a couple of extra minutes to the baking time. Storing baked cookies: Cool the baked cookies slightly. Follow the directions in the recipe for adding the caramel. Let the caramel dry completely. 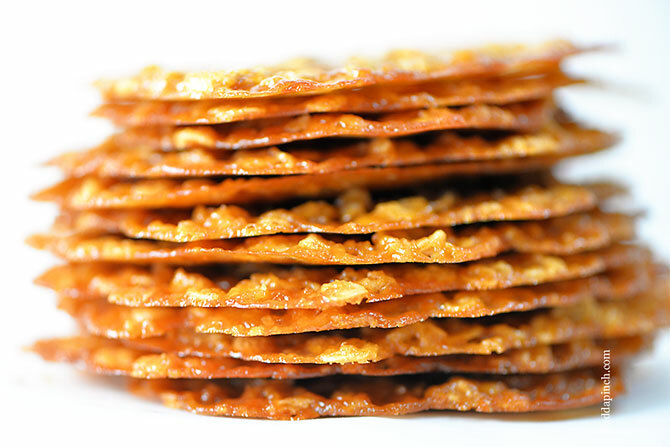 Layer cookies between pieces of parchment or waxed paper and place into an airtight container. These cookies should keep up to 1 week. You’ll definitely get requests for this Shortbread every Christmas once you begin making it! It makes a wonderful gift as well! Storing baked Shortbread: Place cooled shortbread wedges between 2 layers of parchment paper and place in an airtight container. The shortbread can last up to 3 to 4 weeks. What is more festive than these Christmas cookie classics! They are so easy to make with a cookie press, but I also share how to make them without one! To make ahead, place dough in a cookie press fitted with your choice of disc. Press cookies through the cookie press onto a baking sheet, leaving about 1 1/2 to 2 inches between each cookie. Cover and place in the refrigerator for up to 3 to 5 days. When you are ready to bake, follow recipe instructions. 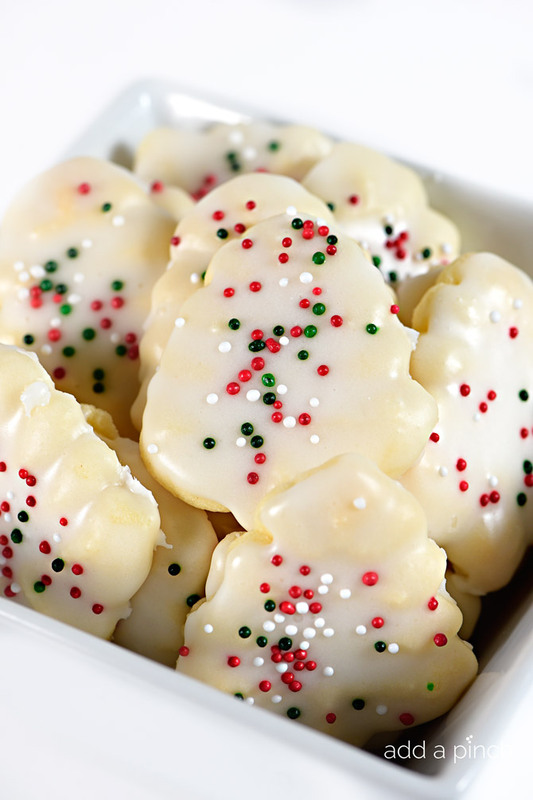 Freezing Buttery Spritz Cookies: Place your cookie dough into a cookie press with your choice of disc. Press cookies through the cookie press onto a parchment lined baking sheet. Cover and place in the freezer to freeze for about 1 hour. Remove the cookies from the freezer and place into an airtight freezer container or bag. Label the container with the date and the name of the cookies. Cookie dough will keep in the freezer up to 2 months. When you are ready to bake the cookies, remove them from the freezer and allow to completely thaw in the refrigerator or overnight. Bake according to recipe instructions. To freeze baked cookies – Cool baked cookies completely. Line the bottom of a flat rectangle or square freezer-safe, air-tight container with parchment paper or wax paper. Place cookies in a single layer into the container. Layer cookies in the container with parchment or wax paper between the layers. When ready to serve, thaw the cookies at room temperature in the container. Frost or glaze the cookies after they are completely thawed. Storing the baked cookies: After baking, cool the cookies completely. Place the cookies in a layer between waxed paper or parchment. You may frost these cookies either before or after storing. If you frost before storing, make sure the frosting is completely dry before starting the storage process. Store them in an airtight container for up to 2 weeks. Do you include Peanut Butter Cookies on your Christmas cookie baking list? We always do! You can prepare the dough for the Peanut Butter Cookies and store in an airtight container in the refrigerator for 3 to 5 days. When you are ready to bake, scoop the dough into balls and follow the recipe baking instructions. Freezing Peanut Butter Cookie dough: Scoop the dough, roll into a ball, and then roll in granulated sugar. Place onto a parchment covered baking sheet. 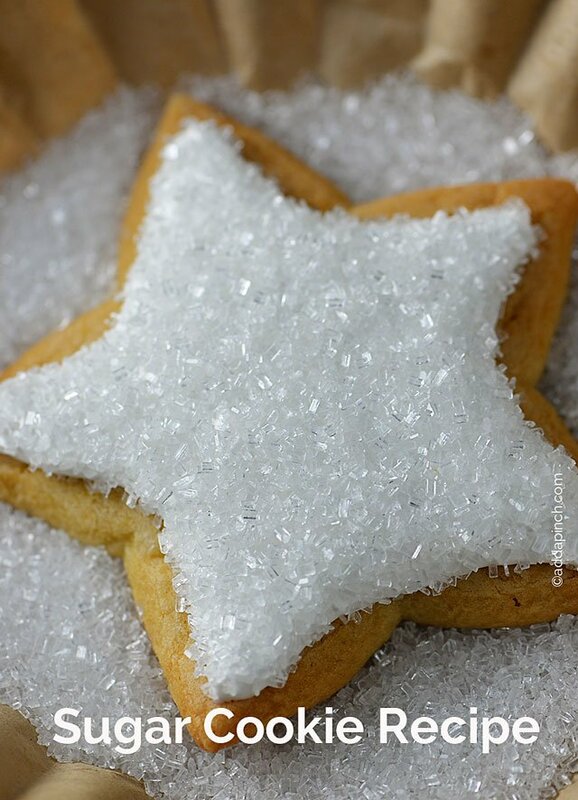 Dip tines of the fork into sugar and then press into the top of the cookie to form a criss-cross pattern. Cover and place in the freezer for 1 hour or until the dough is frozen. Remove from the freezer and place the cookies into airtight containers or freezer bags. Label the bag with the date and name of the cookies. When you are ready to bake the cookies, remove the container from the freezer. Remove the number of cookies from the container that you wish to bake and place them at least 1 1/2 to 2 inches apart on a parchment lined baking sheet. You do not need to thaw the cookies before you bake them. Bake as directed in your recipe but you will probably need to add a couple of extra minutes to the baking time. 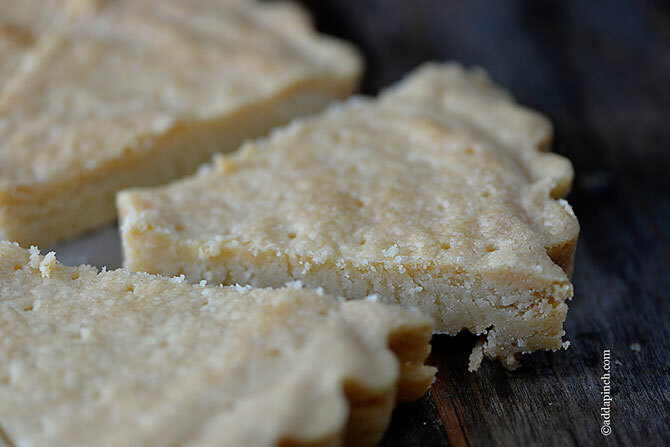 I love how easy it is to make this Slice and Bake Shortbread so that you always have warm cookies throughout the holidays! You can make the dough ahead and bake later. Transfer the dough onto a piece of plastic wrap and roll into a log the thickness required for your recipe. Twist each end of the plastic wrap tightly to ensure that the dough is airtight. Place the rolls into a cylinder such as an empty paper towel roll or stand the rolls upright on one end and place in the refrigerator. These will keep in the refrigerator 3 to 5 days before baking. Freezing Slice and Bake Cookie Dough – Transfer the dough onto a piece of plastic wrap and roll into a log the thickness required for your recipe. Twist each end of the plastic wrap tightly to ensure that the dough is airtight. Place the rolls into a cylinder such as an empty paper towel roll or stand the rolls upright on one end and place in the refrigerator. Chill at least 30 minutes. Once the dough has chilled thoroughly, place the wrapped cookie dough roll(s) into a large, freezer-safe, sealable bag. Label the bag with the date and name of the cookies. When you are ready to bake these cookies, let the dough thaw in the refrigerator overnight. Slice dough into the desired thickness for your recipe and place on a parchment paper lined baking sheet. Bake according to your recipe directions. You may have to bake a couple of minutes longer. Storing baked Slice and Bake Cookies: Cool the baked cookies thoroughly. Layer cookies between pieces of parchment of waxed paper and place into an airtight container. These cookies should keep up to 1 week. 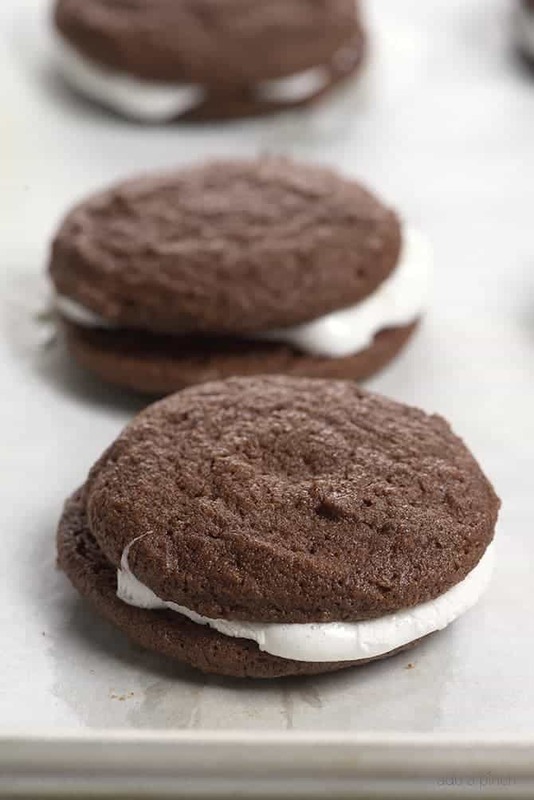 How fun are these Chocolate Marshmallow Sandwich Cookies? They are always one of the first to disappear off the cookie platter! Freezing Chocolate Marshmallow Sandwich Cookie Dough – Drop dough by the tablespoons onto a parchment covered baking sheet. Cover and place in the freezer for 1 hour or until the dough is frozen. Remove from the freezer and place the cookie mounds into airtight containers or freezer bags. Label the bag with the date and name of the cookies. When you are ready to bake the cookies, remove the container from the freezer. 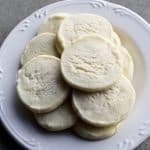 Remove the number of cookies from the container that you wish to bake and place them at least 1 1/2 to 2inches on a parchment lined baking sheet. Bake as directed in your recipe but you will probably need to add a couple of extra minutes to the baking time. Follow the recipe instructions for adding the marshmallow center. Looking for a zingy little cookie? This one tastes like key lime pie and is always a favorite! Storing baked Slice and Bake Cookies: Cool the baked cookies thoroughly. You can store these cookies either before or after you frost them. If you frost the cookies, allow the frosting to dry completely before storing.Layer cookies between pieces of parchment or waxed paper and place into an airtight container. These cookies should keep up to 1 week. 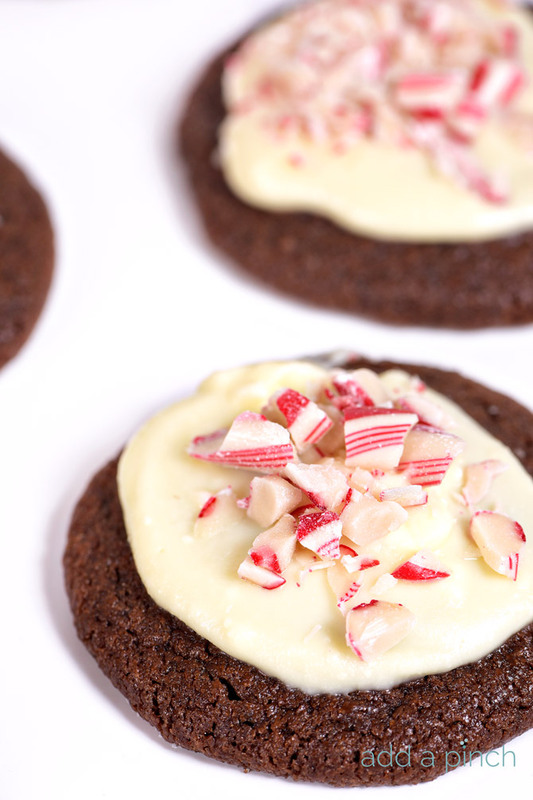 You definitely want to try these Peppermint Meltaways! They are always a favorite! 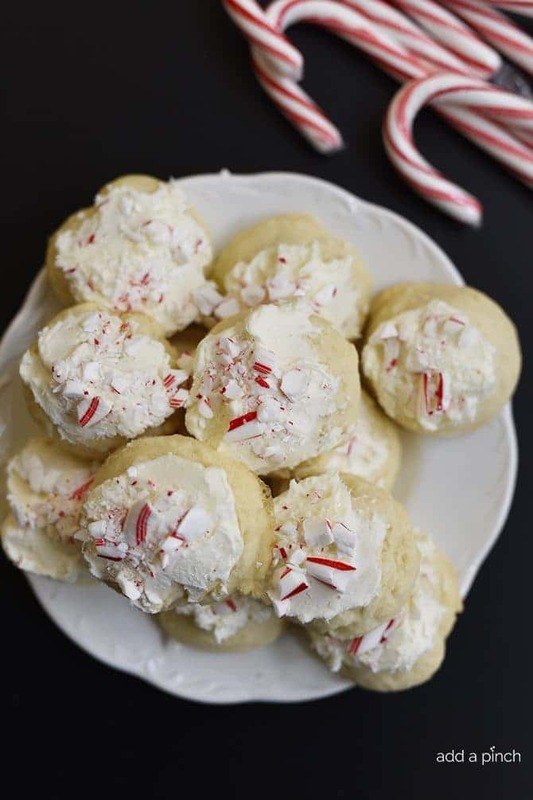 Freezing Peppermint Meltaways Cookie Dough – Scoop the dough by the teaspoons onto a parchment covered baking sheet. Cover and place in the freezer for 1 hour or until the dough is frozen. Remove from the freezer and place the cookie mounds into airtight containers or freezer bags. Label the bag with the date and name of the cookies. When you are ready to bake the cookies, remove the container from the freezer. Remove the number of cookies from the container that you wish to bake and place them at least 2 inches on a parchment lined baking sheet. You don’t need to thaw the dough before baking the cookies. Bake as directed in your recipe but you will probably need to add a couple of extra minutes to the baking time. Storing baked cookies: Cool the baked cookies thoroughly. Follow the recipe instructions for frosting the cookies. Layer cookies between pieces of parchment or waxed paper and place into an airtight container. These cookies should keep up to 1 week. These cookies are like a heavenly brownie in every single bite! I love that they just couldn’t get much easier to make! You can store the dough in the refrigerator in an airtight container for 3 to 5 days before baking. When ready to bake, scoop the dough by heaping tablespoons and follow the recipe baking instructions. Freezing Perfect Brownie Cookie Dough – Drop dough by heaping tablespoons onto a parchment covered baking sheet. Cover and place in the freezer for 1 hour or until the dough is frozen. Remove from the freezer and place the cookie mounds into airtight containers or freezer bags. Label the bag with the date and name of the cookies. When you are ready to bake the cookies, remove the container from the freezer. Remove the number of cookies from the container that you wish to bake and place them at least 2 inches apart on a parchment lined baking sheet. There is no need to thaw the dough before baking the cookies. Bake as directed in your recipe but you will probably need to add a couple of extra minutes to the baking time. Storing the baked cookies: Cool the cookies completely. Place the cookies between layers of waxed paper or parchment and place in an airtight container. These cookies will keep up to 1 week. 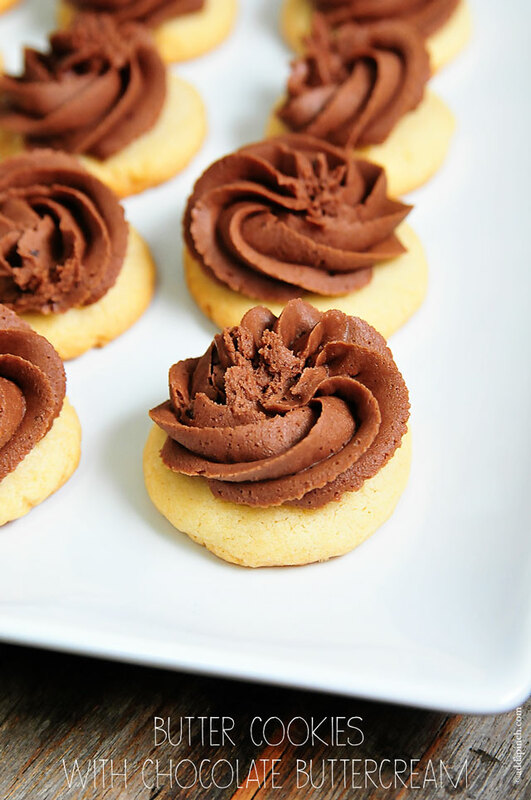 How beautiful are these Chocolate Ganache Cookies? They are just as delicious! 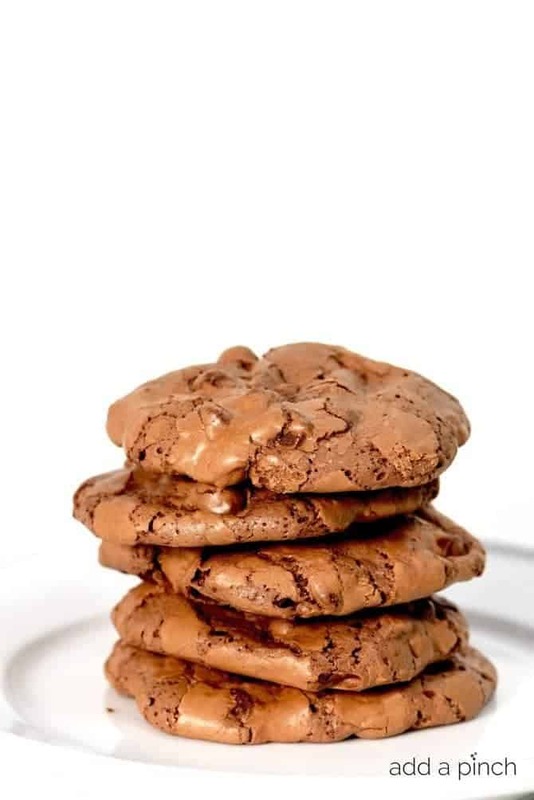 Freezing Chocolate Ganache Cookie Dough – Scoop the dough by the tablespoons, roll into a ball, and place onto a parchment covered baking sheet. Cover and place in the freezer for 1 hour or until the dough is frozen. Remove from the freezer and place the cookie mounds into airtight containers or freezer bags. Label the bag with the date and name of the cookies. When you are ready to bake the cookies, remove the container from the freezer. Remove the number of cookies from the container that you wish to bake. Allow them to thaw overnight in the refrigerator. When they are thawed, roll them in granulated sugar and place at least 1 1/2 to 2 inches apart on a parchment lined baking sheet. Bake as directed in your recipe but you will probably need to add a couple of extra minutes to the baking time. Follow the recipe instructions for adding the ganache. Do not store hard and soft cookies together because the hard cookies will become soft. Do not store cookies with strong flavors, such as gingerbread, with other cookies as the flavors may transfer. To freshen stored cookies before serving, place them into a 350º F oven for about 2 to 3 minutes, if they are not frosted. I just made the salted caramel thumbprint cookies. The next time I make them, if I do, I will definitely make her caramel sauce recipe and NOT use caramels or the caramel bits. The did not turn out well using them. I love every single one of these! I can’t wait to try! I have lots of boys at my house. We can’t wait to bake your gingerbread boys. Yours are beautiful! This is one yummy list of cookie goodness!!! Do you know if I can freeze the Coconut Dream Cookies! Can’t wait to make them? This is a great list of cookies. I could eat a dozen each. What a great collection! They all look great, but I tend to pick no bake cookies. They are easy and yummy! 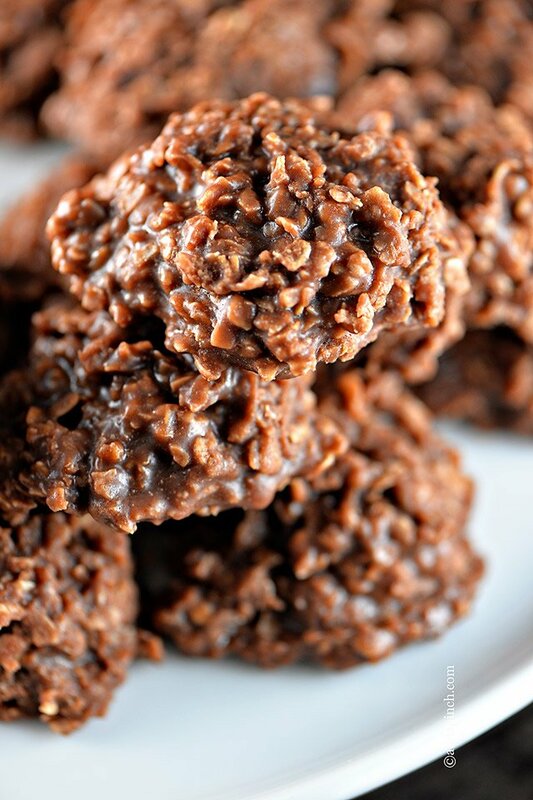 My family has had a Christmas tradition of having the no bake chocolate oatmeal cookies for decades! If there is one treat I want for Christmas this is the one! Saved several of your favorites! All looked delicious! Marry Christmas to all! I really don’t have a favorite Christmas Cookie. I love your list of favorites, they look delicious! I’ve not started making Christmas cookies yet, but have my list made. First on my list is your Buttery Spritz Cookies! I can’t wait to try them, I just know I’m going to love them!! Thanks for all the recipes you share, Robyn! I am starting your cookies today! Any thoughts/ideas on freezing? It must be fate!! 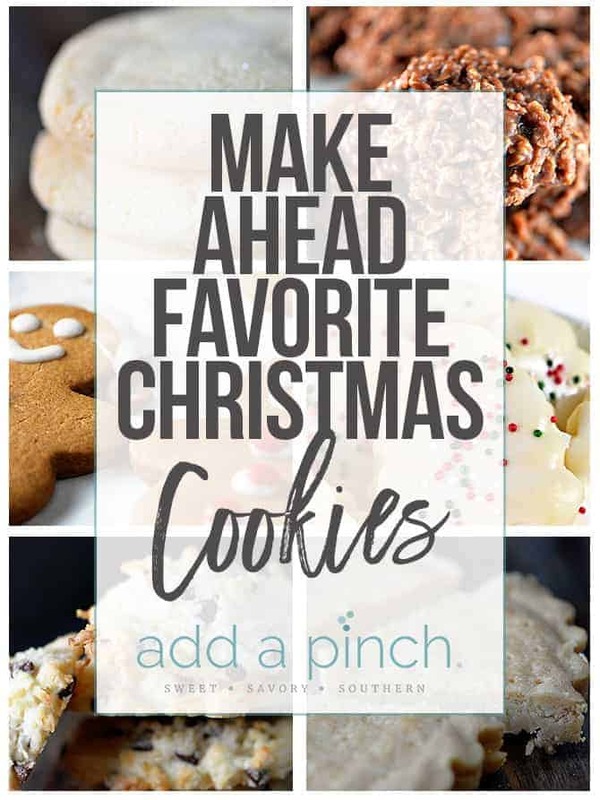 lol… I subscribed to your list yesterday and your first email is a link here to these delish Christmas cookie recipes. Today our family is baking several of these Christmas favorites you have pictured, the others I am sure will quickly be favorites too. I’m looking forward to browsing your site and trying out more yummy recipes. We love the sugar cookies, as well. But, our all time favorite is Thumbprint Jam cookies. They are rolled in walnuts or pecans and we put strawberry, blackberry and either marmalade or apricot jams in the Thumbprint. Yum! I’ve loved every one of your recipes that I’ve tried Robyn (and I’ve tried several!). Thank you for sharing them. Can’t wait to try some of these cookie recipes but I need to make them ahead. Are there any that can be frozen? I’m so glad that you are enjoying the recipes! I am working on a make ahead cookies post that I should be able to share shortly. I totally know what you mean about making cookies ahead of time – especially at Christmas!!! And thanks for sharing all your tips for cooking, I use many in my baking. Love your buttercream icing too.